Sing. Play. Dance. Lead. Speak. March. Throw. Ride. Act. Serve. With more than 100 student organizations, intramural activities, athletics, music and the arts, you’ll always find something going on at Hastings. 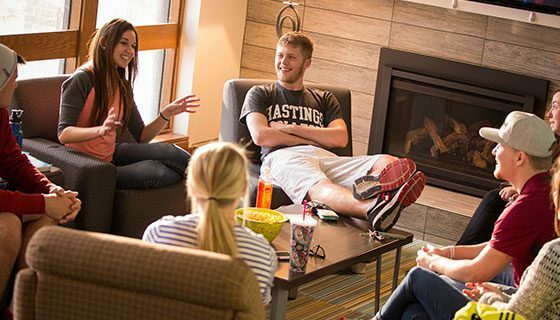 From a quiet place to study and lounges for hanging out with friends to comfortable rooms and free laundry, you’ll feel right at home at Hastings. 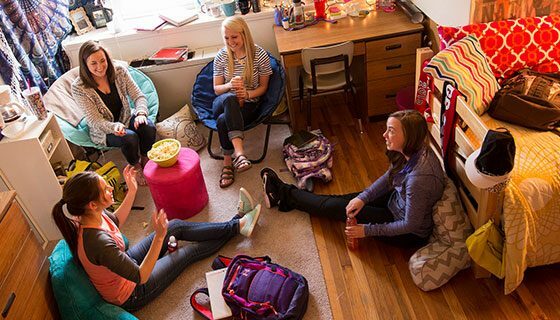 We have five residence halls—two for men, two for women and one that’s co-ed. Did we mention the free laundry? We know there’s no one kind of student. That’s why we offer fresh and convenient dining options. Choose from meal plans that match your needs. 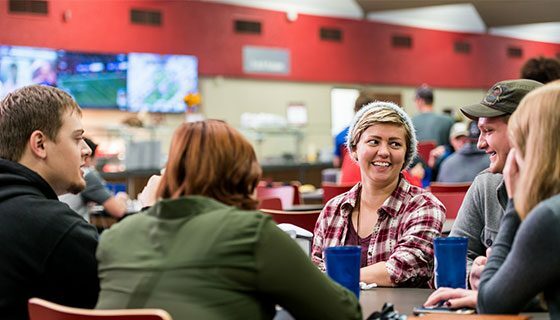 Grab your favorite Starbucks coffee and study at the Bronco Blend, meet friends at the dining hall for dinner or grab a meal at our restaurant-style eatery, the Crimson Club. You choose. Great workout facilities, balanced dining choices and a health center keep your body and mind going. Run the Pioneer Spirit Trail. Walk at Heartwell Park. Bike to Lake Hastings. Meet friends at the sand volleyball courts or play a game of basketball. You’ll find plenty of fun opportunities to stay active. 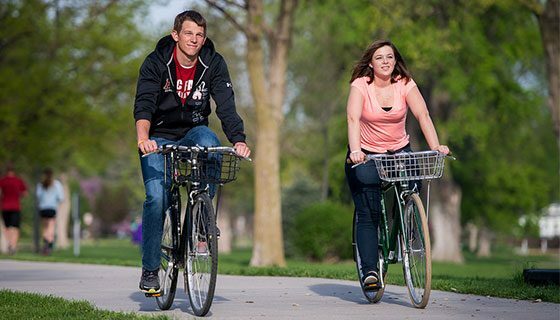 Hastings College is a great campus to walk across, although many students, faculty and staff love riding their bikes. In fact, with our Bronco Bikes program, you can rent a bike on a semester basis. Check out our maps to find the best places for parking and get directions to anywhere on campus. Rising from the south-central Nebraska prairie, Hastings is a progressive community of 25,000 that is excited about where it’s going. They welcome you to call Hastings home while you’re here. Try a local restaurant and find everything from cozy coffee shops to steak joints. When your parents visit, they’ll find great places to stay. 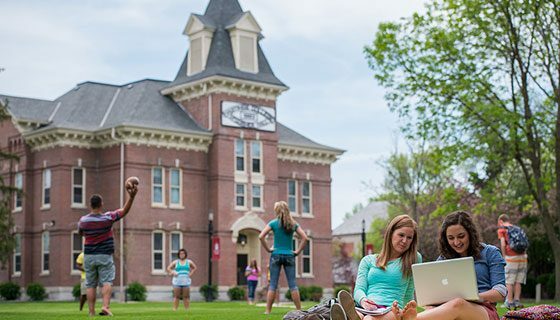 To help make your time at Hastings College meaningful and productive, we provide many services dedicated to your success and wellbeing. You’ll have people encouraging and supporting you the moment you step on campus. Stop in to talk with Student Life in the student union. 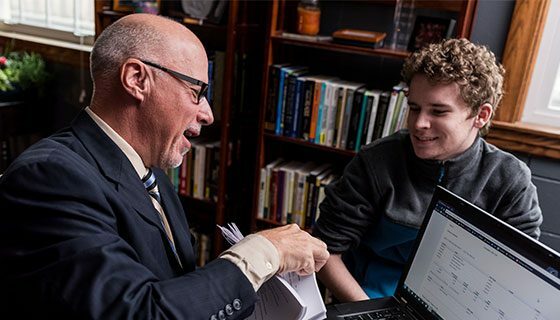 Get answers to your questions through our Academic Counseling Services. Get a step up at Career Services.